Reports in the Daily Mirror this weekend are suggesting that Liverpool are keeping a watchful eye on Radamel Falcao’s transfer situation. The Colombian forward spent last season at Manchester United but is unlikely to stay at Old Trafford after struggling for form and game-time. 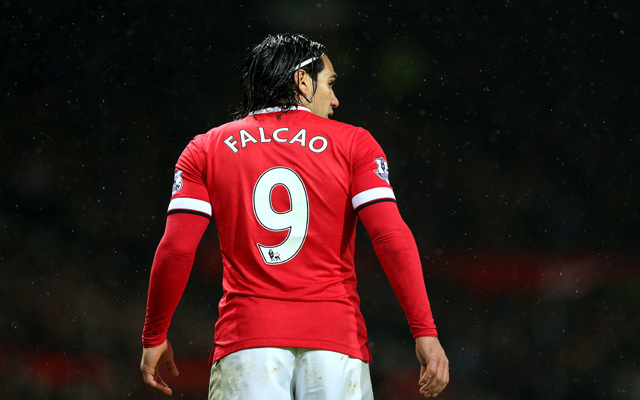 United are reportedly ready to give up on Falcao as they step up their pursuit of Harry Kane. AS Monaco are unlikely to be able to afford to take him back – after a year not paying his huge wages – although Chelsea appear to be ready to take a punt on him as they seek competition for Diego Costa. However, Liverpool’s name also remains in the frame – as it’s likely to do with every striker going this summer – as we look for a marquee forward who can play alongside Daniel Sturridge, Danny Ings and Divock Origi. Goals – Falcao has always scored a lot of them. During four years at Porto and Atletico Madrid he netted 142 of them in all competitions. He also netted 11 in 19 games during his first season at Monaco, where he struggled with a couple of injury problems. Marquee name – Some would say Liverpool need to make a statement. While the addition of Milner, Ings and Bogdan on free transfers is good business, we need something that will get the fans excited and make people sit up and take notice. Falcao would certainly do that. He wasn’t given a fair shot at United – People will point out his less than impressive record at United. But he was barely used by Louis van Gaal. His confidence was low and he was given no time to recover from his long-term injury which ruled him out of that summer’s World Cup. We’d love to prove our old rivals wrong. South American success – Luis Suarez and Philippe Coutinho have both been big hits at Anfield in recent years. These players tend to do even better in the Premier League than players bought on the continent so what’s to say Falcao could not be another of those smart additions. His price has fallen – After a couple of difficult years battling injury his asking price is likely to be at its lowest in six or seven years. Monaco are unlikely to be able to afford to keep him and if they’re actively looking to sell then that gives us a great chances to do business.